Imagine you could change the way you work (and subsequently the way you live) simply by dedicating yourself to what you enjoy most and at the same time adding value to your business? What would it be like for your colleagues and customers to come into your pharmacy happy because they are part of a unique project, YOUR unique project? It would be nice to renovate your pharmacy and see great results within the fi rst few days and then to wake up like a white wolf on the thirtieth day, strong and proud to leadyour pack on a mission that will give them control over their work! Let’s talk about how you can best leverage your business! You can fi nally feel more motivated and confi dent, proud of your choices, to have embarked on the path that will give you complete control of your business, despite the fact that laws can change, the sector could be liberalized, or the water mains on the street your store is on could be closed off for maintenance, suddenly rendering the future of your pharmacy very bleak. Your life would change without warning and you would be forced to travel the world in search of new ideas because your clients can’t wait to discover what new things you have in store. When you come back, you’d notice that people look at you differently, you would be considered an innovator as well as an expert professional. Companies who favored other pharmacies to launch the latest and most innovative products would be fi ghting to give you the best deal and invite you to events where you are now the undisputed champion. All of this can happen in a short space of time, without worries and the risk of sleepless nights. You can have all of this without increasing your workload in the pharmacy. My name is Luca Sartoretto Verna and I am the CEO of Sartoretto Verna™ Srl. Your mission is close to my heart and it is my sole objective to make sure you can complete it. Know that I am by your side! Thanks to the many Italian pharmacists who appreciate a good thing when they see it, my family (starting with my grandfather Giovanni), has managed to win the trust of hundreds of entrepreneurs like you, creating successful businesses in 28 countries spanning 4 continents. I have traveled the world with the Italian Pharmacy Model (which everyone admires and loves), and I have learnt a lot from entrepreneurs of chain and independent pharmacies, from China to Martinique. I believe the time has come to give back. This book gives you the experience I have gained over the years, arming you with new weapons to replace the blunt arrows in your bow. INVINCIBLE SALES WEAPONS that I have gained over the years from managers of the most important pharmacy chains and that I have been able to witness in use in the field. 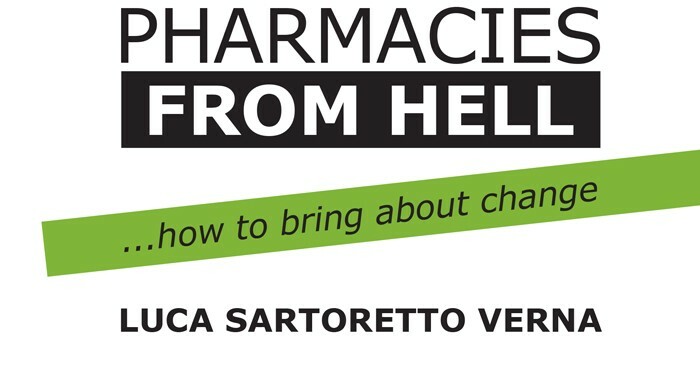 I am an architect and managing director of Sartoretto Verna Srl, a third-generation Italian company, specialized in pharmacies. 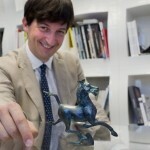 “While at university, I was able to travel around Italy uncovering any data useful for design. My direct observation of a variety of pharmacies has helped me to understand characteristics and recurring errors in the management of space, communication and staff, in the organization of the range, of the offers, services and customer relations. Each visit I had the chance to observe consumer behavior in the pharmacy. Thanks to a constant dialogue with owners, consultants and specialized companies, I have learned over time about the many economic and financial management aspects of the pharmacy. At Sartoretto Verna I started from the bottom and worked my way through various roles until becoming managing director. 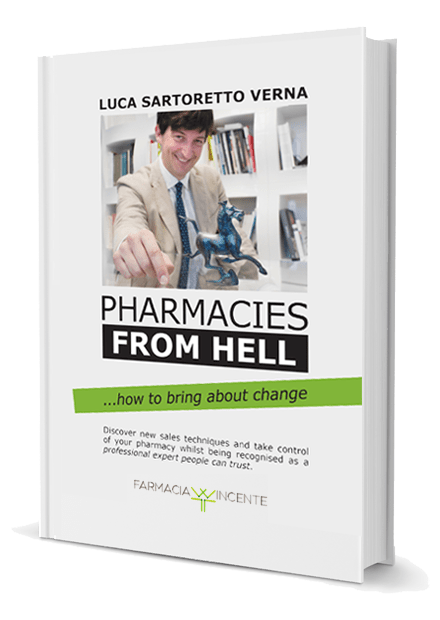 During my career I have actively participated in the creation of more than 700 independent pharmacies and numerous chains in 28 countries around the world gaining ‘in the field’ experience alongside pharmacists, business owners and managers. It is my daily commitment to participate directly in the activities of strong and winning businesses thanks to analysis, discussion and debate with those who believe in but moreover those who love pharmacies.